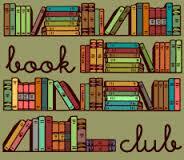 Click on the link above to see the list of book selections, dates and times for the Ballston Spa Public Library Adult Book Discussion Group. New members are welcome and encouraged to attend. Copies of the selected books are available at the Circulation Desk for loan. Questions? Stop in or call 885-5022.